Sherry FitzGerald welcomes this detached family home at Coldwood, Craughwell, to the market for sale by private treaty. The property boasts manicured gardens with feature patio and decking, floodlit rockery, and water feature that must be seen to be appreciated. It is located within walking distance of Coldwood Primary School and Montessori, which would provide excellent childcare facilities for any family looking to make this their home. 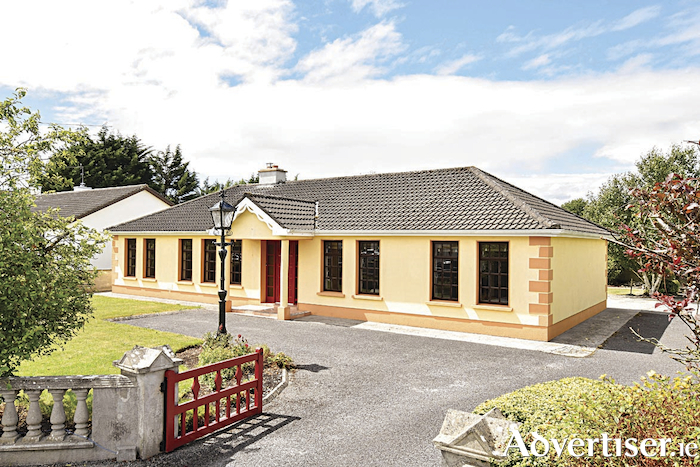 The property is located 10km from Oranmore and 6km from Craughwell village with easy access to the main Galway road and M18//M6 motorways within 9km. Asking price is €300,000. The property boasts an abundance of space with large entrance hall, sitting room with double doors to dining room, leading on to kitchen/dining area, utility with wc, large multi purpose/office space to the rear of the property, and four bedrooms with master en suite which has been newly renovated along with the main bathroom. The property is presented in excellent decorative order throughout and has benefited from modernisation and refurbishment in recent months to make this an ideal family home. Viewing is highly recommended.